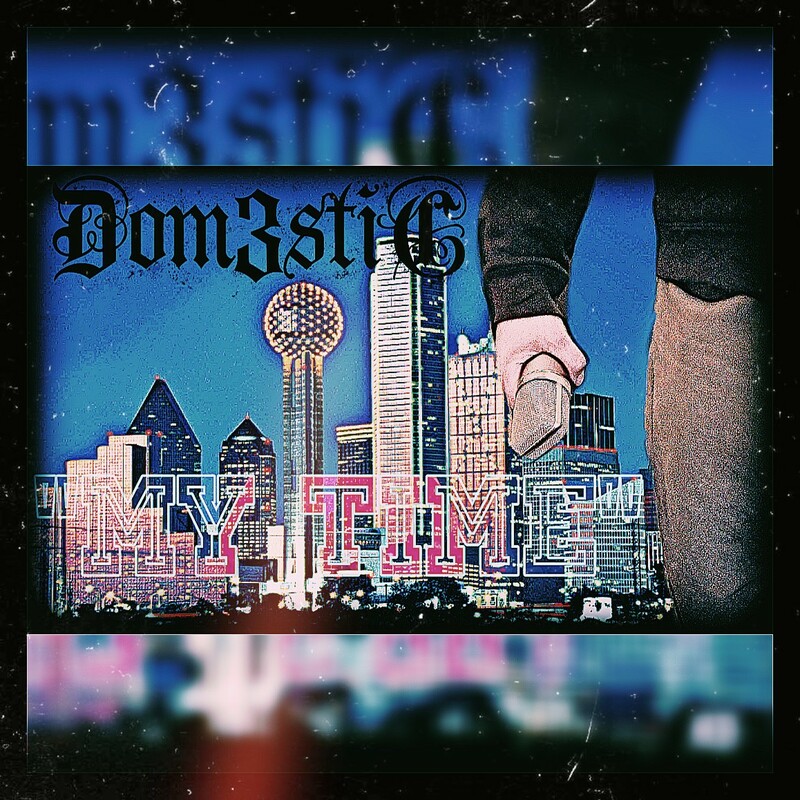 Dom3stic is a true hip hop artist in every sense of the term. Born in Dallas, Texas, he began writing poems as a kid and caught the desire to rap after recording himself on a friend’s tape deck. His childhood wasn’t easy on any level and both he and his sister became victims of sexual abuse. Trying to release his anger and pain it ultimately brought Dom3stic to the rap game in an effort to tell his own story through his lyrics. The “3” in his name represents the family unity him, his mom and sister share, an unbreakable bond. Dom3stic makes deeply lyrical and funky music designed to share the struggles he lived through with others who can relate to them. Tracks like “Hurt” and “Live and Learn” show Dom3stic to be a highly-skilled performer with roots in rap’s golden age and a modern streetwise sensibility. He writes from a place of real emotion that delivers the artist’s authentic truth and soul. Not merely a desire to be popular, and that makes all the difference.